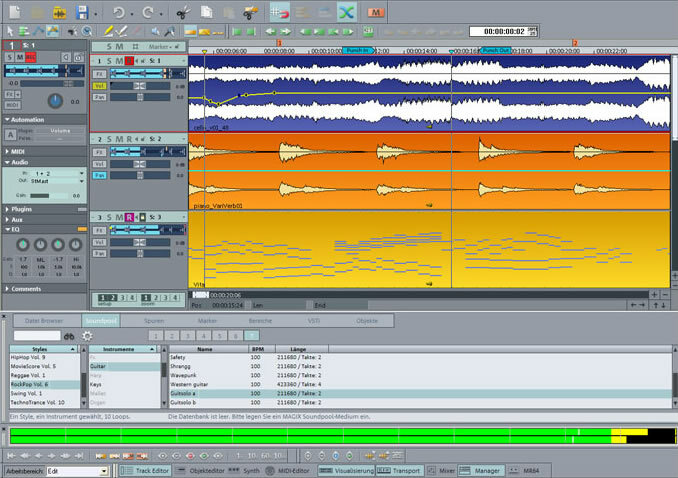 Samplitude Music Studio by MAGIX is an Audio Plugin Host. It can host VST Plugins and VST 3 Plugins. Multitrack recordings in 24-bit/96 kHz studio quality. Operate using the MAGIX Audio Remote app. MIDI support including MIDI Learn. Interfaces: VST3, VST2, ASIO, ReWire, MTC, MC. Time stretching and pitch shifting algorithm from zplane.